Von Wechsberg cane into this early season game with a good ERA and he left it with one, too, according to The Deseret News. Facing rival Salt Lake, the Pocatello hurler pitched into the eighth inning, giving up a single run, The News wrote. The only run against him came in on a steal of home. Wechsberg eventually ended that season with a 4.27 mark. It was his third professional season. He only saw time in one more. 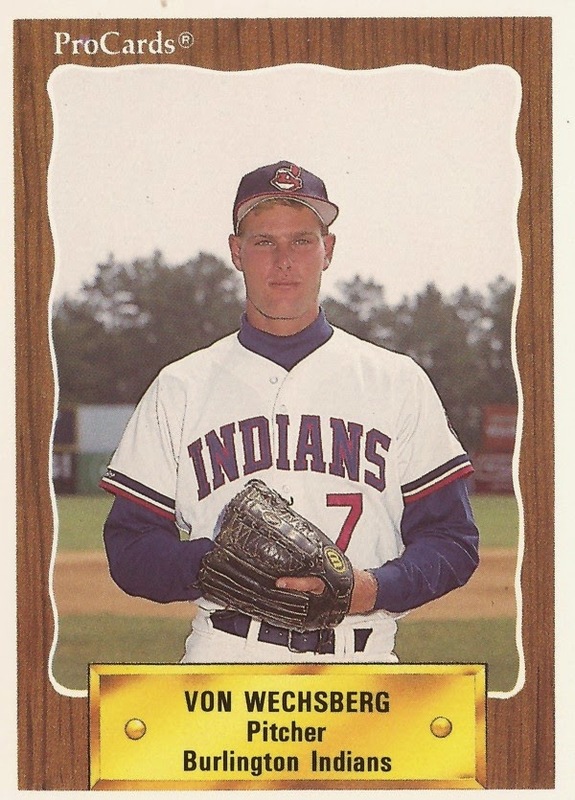 Wechsberg's career began in 1989, taken by the Indians in the 12th round of the draft out of Camarillo High School in California. Wechsberg played the summer of 1988 with Camarillo's American Legion team. By mid-June, Wechsberg had a win and a 2.80 ERA. With the Indians, Wechsberg started in the rookie Gulf Coast League. He got nine outings, eight starts, with a 3.56 ERA. He moved to rookie Burlington in 1990, getting just five starts. His 1991 season was spent at unaffiliated Pocatello. He went 3-7 in 13 starts. For 1992, Wechsberg changed organizations to the Padres. He got into 25 games, two starts, between short-season Spokane and single-A Charleston. Overall, he had a 3.45 ERA. It was his final season as a pro.